Democratic candidate for 6th congressional district Jon Ossoff concedes to Republican Karen Handel at his election night party in Atlanta, Tuesday, June 20, 2017. How much do Democrats really want to defeat Donald Trump? It’s worth asking in the wake of the latest Democratic failure to notch an electoral victory for the resistance, this time in the Georgia special election. There’s no doubt that Democrats want to watch TV programs that excoriate the president. They want to give money to candidates opposing him. They want to fantasize about frog-marching him straight from his impeachment proceedings to the nearest federal penitentiary. But do they want to do the one thing that would make it easier to win tough races in marginal areas, namely moderate on the cultural issues? Not so much. 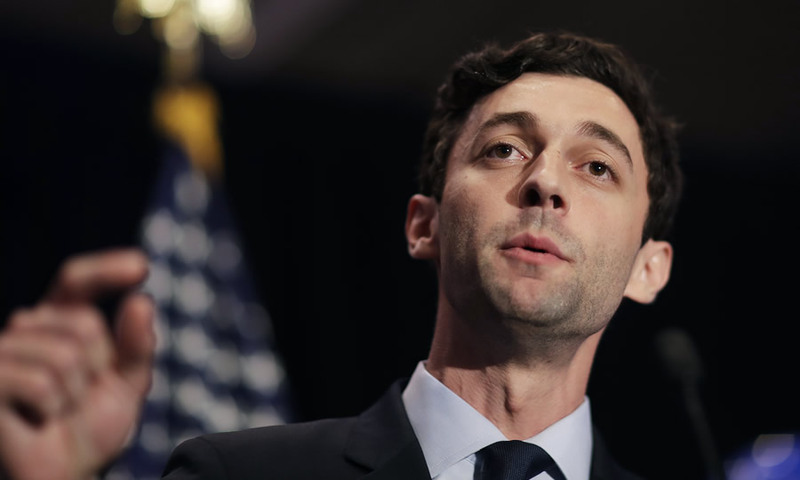 In retrospect, Jon Ossoff’s loss in Georgia’s 6th Congressional District was overdetermined. Youthful to a fault, he didn’t live in the district and had no record of public service. Yet it didn’t help that he was an orthodox liberal who conceded nothing on cultural issues, even though he was running in a Republican district in the South. In this, Ossoff merely reflected his party’s attitude. Stopping Trump is imperative, so long as it doesn’t require the party rethinking its uncompromising stance on abortion, guns or immigration. The Georgia special election showed the limits of the resistance, a partisan phenomenon with no crossover appeal. Republicans don’t share the media’s obsession with the Russian investigation and don’t particularly care whether or not Michael Flynn should have been more careful about disclosing his lobbying work. What’s more, to the extent that the resistance is about literally ousting Trump from office, it courts a backlash to the backlash. This is why Ossoff was right to downplay his opposition to Trump and try to sound like a fiscal pragmatist. It just wasn’t very credible. Tens of millions of progressive dollars didn’t flood into the district to elect a polite young fiscal conservative with no strong feelings about Trump. Ossoff was easily attacked as a callow creation of the resistance and a would-be foot soldier for Nancy Pelosi. A different kind of Democrat wouldn’t have been so vulnerable. Republicans never would have been able to use the Pelosi play against Sen. Zell Miller, an old Blue Dog Democrat from Georgia, or even moderate former Gov. Roy Barnes. Departures on these issues are important. They are statements of independence from the national party. They signal a sympathy with culturally conservative voters who might not support Republican economics. They take the edge off the perception of the Democrats as a highhanded coastal party. It’s not just that national Democrats don’t believe any give on these issues is necessary — they positively oppose it. A couple of months ago, national activists brought the hammer down on Heath Mello, a candidate for mayor of Omaha (a city in the state of Nebraska) for the offense of being personally opposed to abortion and once having supported restrictions. To his credit, Bernie Sanders stood by his endorsement of Mello (who ended up losing). Such is the fever of the national party on cultural issues that the socialist is the relatively reasonable one. A senator from a small, rural state who cares only about the economy, Sanders wasn’t until recently beaten into complete agreement with Democratic orthodoxy on race, guns and immigration. In a valuable piece in The Atlantic, Peter Beinart notes how the concern that Sanders once expressed about immigrants undercutting U.S. wages used to be a fairly standard Democratic position. Beinart argues that if Hillary Clinton had expressed any such worry about the effects of mass immigration, she probably would have been elected president.